In one of the lightest moments of Robert B. Parker’s Valediction (just before one of the darker), Spenser describes his reservation about the first two Star Wars movies: “No horses . . . I don’t like a movie without horses.” After watching Return of the Jedi, he comments that it was a silly movie, but “Horses would have saved it.” Which makes me wonder what he’d have thought about The Last Jedi. Horses aren’t my thing, it’s dogs. I’m not quite as bad as Spenser is about them — I like books without dogs. But occasionally a good dog would save a book for me — or make a good book even better. I got to thinking about this a few weeks back when I realized just how many books I’d read last year that featured great dogs — and then I counted those books and couldn’t believe it. I tried to stick to 10 (because that’s de rigueur), but I failed. I also tried to leave it with books that I read for the first time in 2018 — but I couldn’t cut two of my re-reads. So, here are my favorite dogs from 2018 — they added something to their novels that made me like them more, usually they played big roles in the books (but not always). Edgar from The Puppet Show by M. W. Craven (my post about the book) — Edgar has a pretty small role in the book, really. But there’s something about him that made me like Washington Poe a little more — and he made Tilly Bradshaw pretty happy, and that makes Edgar a winner in my book. Kenji from Smoke Eaters by Sean Grigsby (my post about the book) — The moment that Grigsby introduced Kenji to the novel, it locked in my appreciation for it. I’m not sure I can explain it, but the added detail of robot dogs — at once a trivial notion, and yet it says so much about the culture Cole Brannigan lives in. Also, he was a pretty fun dog. Rutherford from The TV Detective by Simon Hall (my post about the book) — Dan Groves’ German Shepherd is a great character. He provides Dan with companionship, a sounding board, a reason to leave the house — a way to bond with the ladies. Dan just felt more like a real person with Rutherford in his life. Yeah, he’s never integral to the plot (at least in the first two books of the series), but the books wouldn’t work quite as well without him. Oberon from Scourged by Kevin Hearne (my post about the book) — Everyone’s favorite Irish Wolfhound doesn’t get to do much in this book, because Atticus is so focused on keeping him safe (as he should be). But when he’s “on screen,” he makes it count. He brings almost all of the laughs and has one of the best ideas in the novel. Mouse from Brief Cases by Jim Butcher (my post about the book) — From the moment we read, “My name is Mouse and I am a Good Dog. 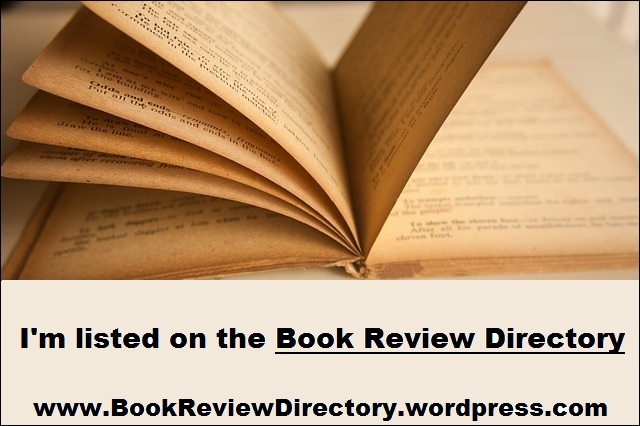 Everyone says so,” a good novella becomes a great one. As the series has progressed, Mouse consistently (and increasingly) steals scenes from his friend, Harry Dresden, and anyone else who might be around. But here where we get a story (in part) from his perspective, Mouse takes the scene stealing to a whole new level. He’s brave, he’s wise, he’s scary, he’s loyal — he’s a very good dog. Ruffin from Wrecked by Joe Ide (my post about the book) — Without Isaiah Quintabe’s dog opening up conversation between IQ and Grace, most of this book wouldn’t have happened — so it’s good for Grace’s sake that Ruffin was around. And that case is made even more from the way that Ruffin is a support for Grace. He also is a fantastic guard dog and saves lives. His presence is a great addition to this book. Dog from An Obvious Fact by Craig Johnson (my post about the book) — I might have been able to talk myself into ignoring re-reads if I hadn’t listened to this audiobook (or any of the series, come to think of it) last year — or if Dog had been around in last year’s novel. Dog’s a looming presence, sometimes comic relief (or at least a mood-lightener), sometimes a force of nature. Dog probably gets to do more for Walt in this book — he helps Walt capture some, he attacks others, just being around acts as a deterrent for many who’d want to make things rough on Walt. Walt couldn’t ask for a better partner. Trogdor from The Frame-Up by Meghan Scott Molin (my post about the book) — Honestly, Trogdor probably has the least impact on the book than any of the dogs on this list. But, come on, a Corgi names Trodgor? The idea is cute enough to justify inclusion here. He’s a good pet, a fitting companion for MG — not unlike Dan’s Rutherford. He just adds a little something to the mix that helps ground and flesh-out his human companion. Mingus from The Drifter by Nicholas Petrie (my post about the book) — Like Trogdor, a great name. Like Mouse and Dog, a great weapon. He’s really a combination of the two of them (just lacking Mouse’s magical nature). He’s vital in many different ways to the plot and the safety of those we readers care about. Petrie made a good move when he added this beast of a dog to the novel. 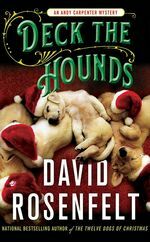 Zoey from Deck the Hounds by David Rosenfelt (my post about the book) — how do I not invoke Tara when discussing an Andy Carpenter book? Good question. It’s Zoey that brings Andy into the story, it’s Zoey that helps Don to cope with his own issues, it’s Zoey that defends Don and saves him (in many ways). Sure, Tara’s the best dog in New Jersey, but Zoey comes close to challenging her status in this book. Lopside from Voyage of the Dogs by Greg van Eekhout (my post about the book) — It almost feels like cheating to bring in a dog from a novel about dogs — conversely, it’s hard to limit it to just one dog from this book. But Lopside the Barkonaut would demand a place here if he was the only dog among a bunch of humans — or if he was surrounded by more dogs. He’s brave, he’s self-sacrificing, he’s a hero. He’ll charm you and get you to rooting for these abandoned canines in record time. Andy Carpenter sees a homeless man with a dog on the street, gives the man some money and a gift card for dog food (naturally, the dog gets more than the man, because it’s Andy Carpenter) and has a brief conversation with him. Not long after that, that same man is on the news — he’d been attacked by a stranger and his dog defended him. Which resulted in the dog being put in the pound. Laurie’s filled with pre-Christmas spirit and insists that Andy help out. So he uses his rescue foundation to get custody of the dog and moves the pair into the apartment over his garage. How heartwarming is this? Clearly, this is fodder for a Christmas/holiday story. But it’s also an Andy Carpenter story, so naturally, after Andy does a newspaper interview about the man — giving his name — he’s arrested for murder. No one was more surprised by this move than Andy’s guest, Don. Not only has Don never heard of the victim, he was unaware that he was wanted by the police. Laurie’s pre-Christmas spirit is still strong, so she talks him into defending the man. It helps that he’s innocent, a dog lover, and an educated, articulate vet with PTSD. The PTSD aspect of the story was told with sensitivity and tact. It didn’t feel tacked on to make the character more sympathetic, but it grounded him in reality and may help to inform some readers about the prices that too many vets are paying. There is another storyline — seemingly unrelated — running through the novel. Obviously, it’s going to tie into Andy’s case, but it takes a long time for that to happen. This gives the reader multiple opportunities to guess how the two are connected (and multiple opportunities to be wrong. I guessed what was happening in that story pretty easily, and I think most people who read a lot of legal thrillers will. But how it connects to the main story will likely leave most readers as surprised as I was (surprised, and then filled with a strong sense of, “well, naturally, what else could it be?”). The usual gang is back and in their prime form — Hike is back to his full-time dour self; Ricky is a cute kid; Laurie provides the moral center; Pete is a good cop who continually underestimates Andy’s clients; Sam is a wizard with computers in a way that probably defies reality Marcus is his super-hero best here, and possibly faces his biggest challenge yet (I thoroughly enjoyed this scene). What better way to spend a holiday (or at least a book set around one) than with a bunch of friends like these have become over the years? Andy spent more time in the courtroom in this book than he has lately — it seemed to me, anyway, I didn’t do a page count. His courtroom antics and cross-examinations are what drew me to the character in the first place, so this is the stuff in these books I most look forward to. Rosenfelt brought his A-game to the courtroom events here, and I loved it. As far as mysteries go, this in one of the most satisfying cases that Rosenfelt has brought us in years. In my post about the previous “holiday special” I said that I really don’t like it when long-running series do a holiday special — yet, The Twelve Dogs of Christmas and Deck the Hounds have been my favorite installments in the last couple of years in this series. Maybe that means this Grinch’s heart is growing a couple of sizes, or maybe it’s that Rosenfelt is inspired to work harder in these. My guess? It’s the clients — the Andy Carpenter books are at their best when they focus on the client, not on some large conspiracy. These holiday books have the kind of clients you spend time on, that the reader gets invested in — and therefore, Andy gets to shine in defending them. Whatever the reason, this is a sure-fire win for Andy Carpenter fans. Particularly if you don’t mind a little Christmas celebration (or, if you’re like Laurie, and insist on commemorating the holiday for months). Disclaimer: I received this eARC from St. Martin’s Press via NetGalley in exchange for this post — thanks to both for this. At an early age, Andy Carpenter discovered that he couldn’t hit a curve-ball and therefore had to give up on his dreams of playing in the majors and fall back to following in his father’s footsteps and becoming a lawyer. His father, a lifelong prosecuting attorney, probably wished for something else, but for the many people that he’s defended in court, they wouldn’t have it another way. This is the seventeenth novel in this series — I’ve talked here about nine of the previous sixteen. There’s part of me wondering just what I could possibly have to say about this one that I haven’t said at least once before. Andy Carpenter is called to a nearby rest area — a truck containing sixty-one dogs was discovered with the driver shot. Andy and Willie were called out to help the police retrieve the dogs and care for them. The police are really not happy to see him there — Andy Carpenter at a crime scene? Not a welcome sight. But then he’s called away, there’s a prospective new client waiting for him at home. Not that surprisingly, the potential client was also at that rest area earlier in the day. He actually tells Andy that he shot the driver — in self-defense, mind you. Sure, there’s a history between the two — Kramer (the client) had assaulted the victim and threatened to kill him, in fact. But that was years ago, and he had no current reason to. He just needs some help with the inevitable arrest. Andy believes him — he has to. Kramer is Laurie’s ex and she vouches for him — so much so that Andy pretty much has to take the case for her sake. Honestly, Andy really isn’t that interested in helping tall, hunky and dangerous Kramer — ex-Military, ex-police, ex-licensed investigator. But it’s not long before he starts to believe that there’s something more afoot. And what was the deal with all the dogs? All the regulars are along for this ride — Pete Stanton brings the law and order, we get a little more about the fun side of Hike that was introduced in the last book, Sam and his hacking crew dig up plenty of information, Marcus is his typical imposing self, Tara is as loyal as ever — and Andy gets a lot of courtroom time in. There’s a new prosecuting attorney for him to face off against — I liked her, and would like to see her against Andy again. I don’t think it’s much of a spoiler here, because it’s pretty much the default in this series, but there’s a conspiracy behind the murder and they men behind it have decided to frame Kramer. This is one of the better — or at least one of the more grounded — conspiracies featured in these books. Up to a point, some of it was pretty hard to swallow — it just went a little over the top for my taste (but many of them do in this series). Also, this one features the best code names this side of Reservoir Dogs. Still, it was one of the more clever solutions that we’ve been treated to lately. A thought about the series as a whole at this point: I would appreciate it if Rosenfelt would shake things up a little bit — I’m not talking about killing Hike or splitting up with Laurie or anything — just dial down the super-criminals a bit, maybe spend some more time with the client again. But there’s little reason for him to do that — the series moves like clockwork and is reliably entertaining. I only say this because I’m a fan — Rosenfelt is in danger of becoming a parody of himself (at worst) or just putting out cookie-cutter books (at best), I don’t want Andy Carpenter to become a Stephanie Plum. 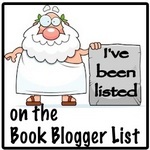 This is not to say that I didn’t enjoy the book — because I did. Andy, Sam, Pete, Vince, Laurie, Tara and the rest are old friends that I enjoy getting together with every few months. 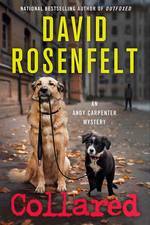 Rosenfelt’s latest demonstrates what’s been true for years — this series is at the point where you can reliably count on each book for an entertaining read, a puzzling mystery, some good comic moments, a nice dog or two and maybe even a tug on the heart strings. They’re still charming enough to win over a new reader (and any of the books serve just fine as entry points) as well as satisfying the long-term reader. Rescued delivered just what I expected and left me satisfied — satisfied and ready to read number 18. Disclaimer: I received this eARC from St. Martin’s Press via NetGalley in exchange for this post — thanks to both for this, it was a real pleasure. Unabridged Audiobook, 6 hrs, 50 min. I honestly can’t believe I’ve talked to little about Andy Carpenter and David Rosenfelt here — it works out, when you look at timelines and whatnot, I’ve been reading him a long time before I started blogging. Still, it’s hard to believe since it’s one of my favorite series, and has been going for so long. Yeah, maybe the series is getting too long in the tooth, but for something to get to book 16+, it’s got to have a pretty solid foundation, right? That foundation is Open and Shut, where Rosenfelt introduces the world to Andy Carpenter, dog lover extraordinaire and pretty decent defense attorney. Carpenter is a hard-working lawyer, taking on many cases that don’t pay much, but do some good. He’s obsessed with New York sports and his golden retriever. He’s going through a divorce — and has started dating his investigator. He’s got a great sense of humor, is known for a hijink or two in court, and seems like the kind of guy you want in your corner. His father is a big-time D. A., the kind of Prosecutor that people hope/assume theirs is — honest, hard-working, tough on crime. So it shocks Andy when his dad asks him to take on a client for a retrial on a murder case — a murderer his dad put away and his currently on Death Row. Andy goes ahead with the case, not sure that he should. But it doesn’t take long before he starts to believe in his client’s innocence. About that time, things get interesting and maybe even a little dangerous. Almost all the elements that go into a typical Andy Carpenter novel are here — even if they’re just being introduced at this point. The jokes are fresh, the clichés have yet to be developed. It’s a good mystery with some good non-mystery story elements. And, best of all, some really fun courtroom moments — not just antics on Andy’s part, but some good depictions of legal/trial strategy and the like. I’ve been thinking lately that the latter Carpenter books have been giving the courtroom short shrift, and seeing what Rosenfelt does here just solidifies that thinking. Gardner’s narration didn’t blow me away or anything, but it was good work. I can easily believe him as Andy’s voice and can see him really growing on me (not unlike George Guidall and Walt Longmire). He’ll keep you engaged in the story, and deliver a line or two in a way that will bring a smile to your face. Give this one a whirl, folks — text or audio — you’ll enjoy yourself. I know I take dog-loving to a somewhat absurd degree, but what he just said pleases me. Someone who doesn’t care about dogs, or this one in particular, would have said, “It’s about the dog being found.” But he said Cody instead of the dog, which to me is a sign of respect and caring. I may need to get out more. Cody has been assumed to have been one of two victims of a kidnapping — the other was the baby the dog’s owner had recently adopted. It’s been two and a half years, with no trace of either. The mother’s ex-boyfriend and ex-employee has been convicted for the crime, on some pretty flimsy evidence. Now Cody has been left at the front door of The Tara Foundation. Naturally, once Andy is told about this, he brings in the police and the dog’s owner (a friend of Laurie’s, as coincidence would have it). The question at the front of everyone’s mind is: can the dog somehow lead to answers about her son? Jill, the boy’s mother and Cody’s owner, asks Andy to look into this for her. Almost as soon as he begins, Andy uncovers some evidence that leads him to become Keith’s attorney and get him a retrial. Andy is pretty clueless (as is everyone) why someone would kidnap the boy and the dog (and return the dog), not to mention frame Keith for the crime. But while he can’t answer that, he can chip away at the evidence that put Keith behind bars — the only hope the boy has is that by doing so, someone may stumble on an explanation for what happened to him. Along the way, Andy’s associate Hike has to go down to North Carolina to do a little research. While there, something happens to him — I won’t ruin anything for you, but it’s a lotta fun for people who have been around since Hike’s introduction — you will enjoy it. Laurie does what Laurie does, ditto for Marcus (who might be his most-Marcus-y here) and Sam. I do worry that Rosenfelt isn’t doing much with these characters beyond their regular heroics and chuckle-worthy antics, but we got some good Hike material this time, maybe it’ll be someone else’s turn to shine next. I don’t think the addition of Ricky to things added that much to the series, and that’s the last major change since Hike came along. I really would’ve appreciated a little more courtroom action, but I’m not sure what else could’ve happened. It just seems like less time is being given to the courtroom lately — maybe I’m wrong. I can’t imagine that Andy would approve of someone doing the work to determine if I’m right or not — he sure wouldn’t — so let’s just assume I am. I sound like I’m complaining about the book — that’s not really my intention. I wouldn’t expect so much from it if I wasn’t such a fan. Collared has a clever mystery, some funny moments, a nice twist or two, and we get to spend time with characters that readers have come to know and like. For a series 16 books in, that’s pretty good. Where else are you going to get a friend of the protagonist describe a potential suspect like this? 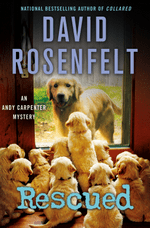 It’s a fun read — from the moment that Andy assembles the family to help him decide if he’ll renew his law license to the party at Charlie’s, Rosenfelt keeps you turning the pages with a smile on your face.